Take a deep breath... Ahh! This oh-so-sweet pink bouquet is a lovely gift for Mother's Day, a new baby, or your favorite girly girl! It's a wonderful way to show that you're thinking of them, today and every day! 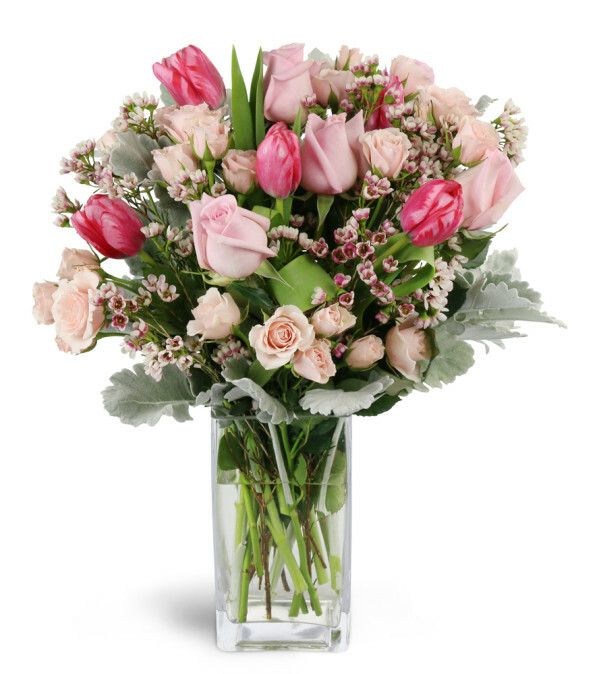 An abundance of pink roses, spray roses, tulips, waxflower, and more are arranged in a modern clear glass vase - ready to bring big smiles wherever it goes! Hands down the best florist! The attention to detail and creativity is second to none. You won’t find better quality anywhere else. Thanks Langdon! By far the best florist on the island!! They are true artists and a wonderdul place to buy arrangements or stopping by for purchasing their beautiful selection of fresh flowers. Langdon Florist of Tribeca is a Lovingly Florist in Staten Island. Buying local matters. Discover how Lovingly supports local florists. Copyrighted images herein are used with permission by Langdon Florist of Tribeca.